1983 Sensei Yoshiyuki Nakanishi opens a dojo at the Spenard Recreation Center. 1984 Masa Ando joins the Club. 1986 Dojo moved to Fairview Recreation Center. Total Club membership is approximately 20. 1989 Sensei Shigematsu joins the Club. 1990 University of Alaska, Anchorage kendo classes begin. 1991 Mr. Shigematsu leaves for Japan. 1994 Mr. Nakanishi returns to Japan. Mr. Ando assumes leadership of "Nakanishi Dojo". 1998 Alaska Budokan, LLC, dba. 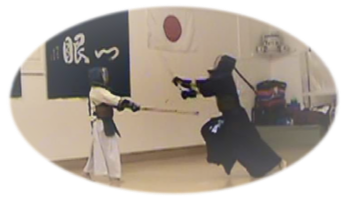 Alaska Kendo Club, is founded and housed at 7751 King Street. 2001 Kazuo Kamei and members of his Kamei Kenseikan Dojo visit the Alaska Kendo Club. copyright © 2012-2017 Alaska Kendo Club.